Sightseeing tour of Shey and Thiksey Monastery. Enjoy the famous Hemis Monastery Festival. 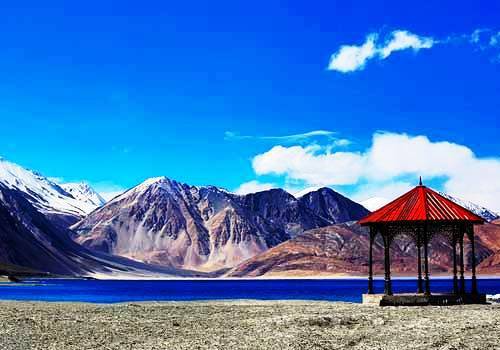 Visit Nubra Valley & Khardungla Pass. 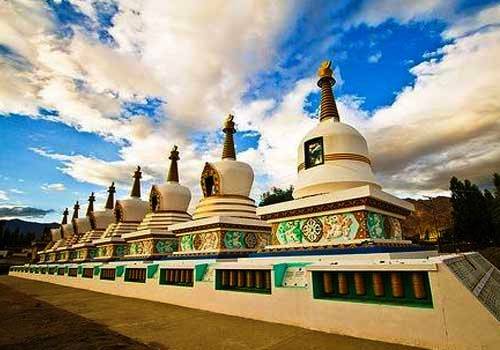 Sightseeing of Leh & visit Phyang, Spituk monastery, Stok Palace. Excursion tour to Lamayuru & Likir Monastery. 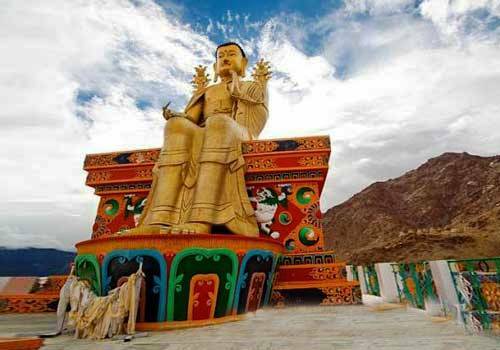 The 11 days Hemis Monastery Festival Tour covers destinations Leh, Sumur (Nubra Valley), Uletokpo and Lamayuru. 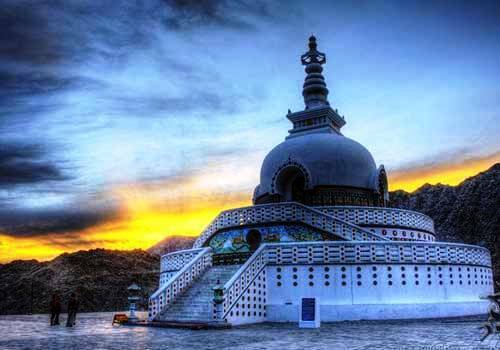 This Ladakh tour will take you for sightseeing of Shey and Thiksey. Witness the largest and impressive Thiksey Gompa and the richest Hemis Monastery. 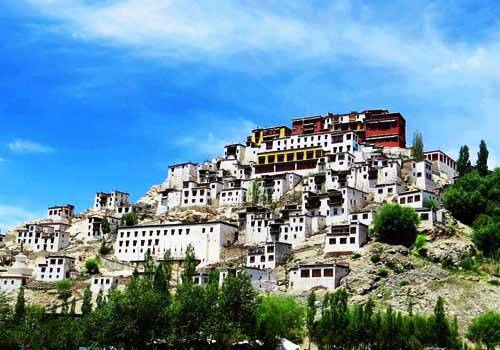 Be a part of the Hemis Monastery Festival, which is the major attraction of this trip. It is the birthday of Padmasambhava (founder of Tibetan Buddhism), celebrated for two-days on the tenth day of Lunar month of Tibetan calendar. 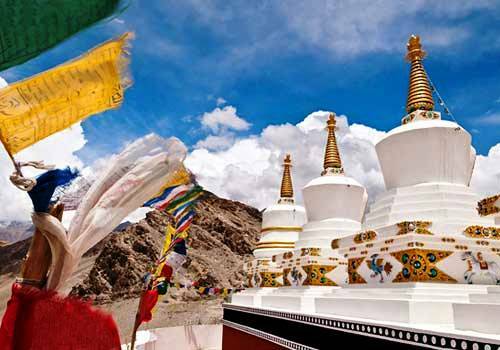 Other attractions will include Nubra Valley, Khardungla pass, White Sand Dunes at Hunder, Lamayuru Monastery, Phyang, Spituk, Rizong monastery and Chulichan nunnery along with Diskit and Samstaling Monasteries. 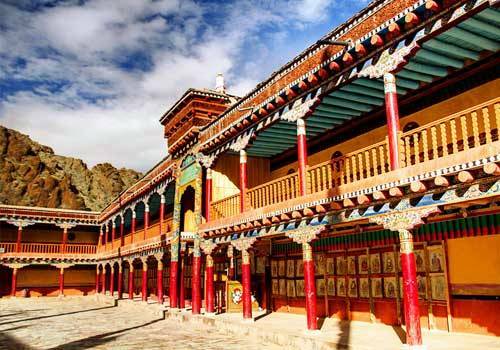 Also pay a visit to the Stok Palace and museum, enjoy a camel ride and collect souvenir from Leh bazaar during your Tour to Hemis Monastery Festival. 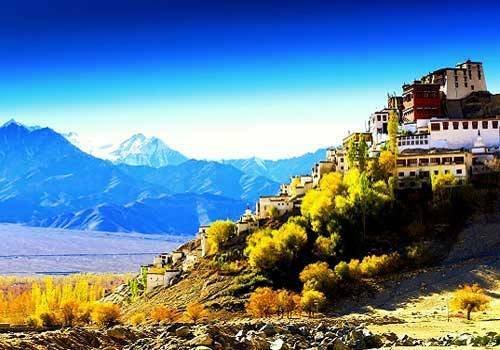 Reach Leh and get a warm welcome from the tour representative on day 01 (i.e. 23rd June) of the Hemis Monastery Festival Tour. Check in at the hotel and leisure for rest of the day. Overnight stay at the hotel. 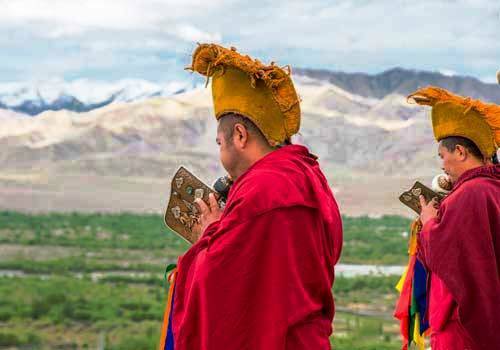 Start day 02 of the Hemis Monastery Festival tour with a sightseeing tour of Shey and Thiksey. Thiksey Gompa is one of the largest and architecturally the most impressive Gompas and is about 19 kilometers away from Leh. Whereas, Hemis is the wealthiest and one of the biggest and the best known Gompas of Ladakh and is 40 kilometers away from Leh. On return visit Tibetan Refugee Center.